In case your favourite wine sells out before you get to us, you can reserve wine online and pay when you collect using Reserve & Collect. We will hold your wine for up to 14 days (if uncollected, it goes back into stock). 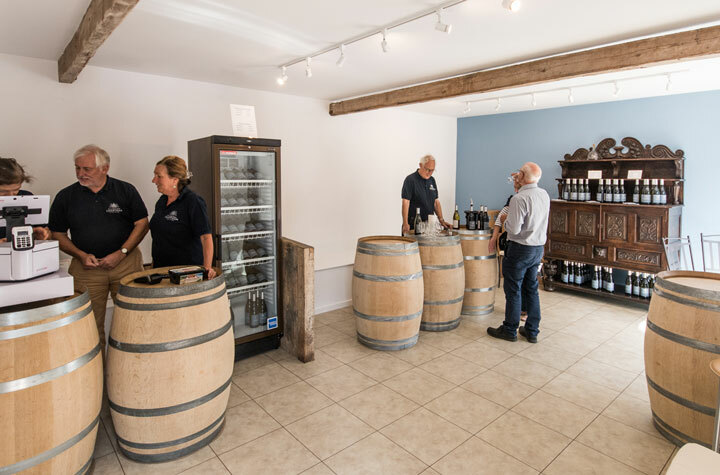 Our wine shop is open every Saturday - 10.30am to 5.30pm. As you come into the traditional farm courtyard, you’ll find plenty of parking. The wine shop is in a converted cow shed on the left, and surrounded by a 17th century brick barn and a dovecote. 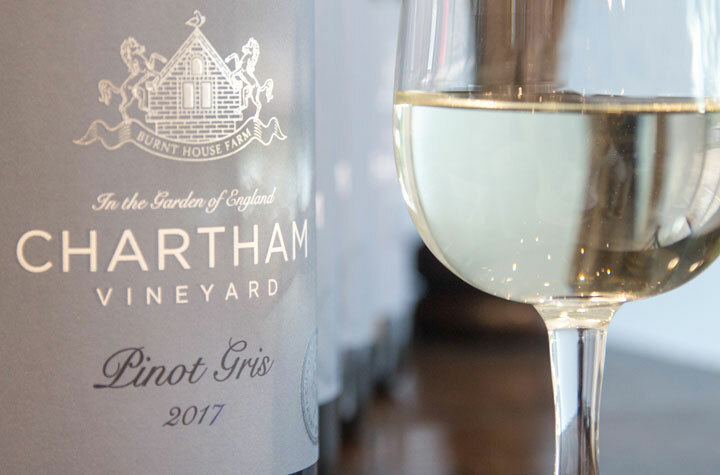 You can purchase our wine by the glass, bottle or case – and you are welcome to a free taster before you buy. You can also reserve wine online and pay when you get here, using Reserve & Collect. We accept cash and cards – sorry no cheques. On the day of picking, our grapes are transported to Litmus Wines based at Denbies near Dorking, to be crushed and made into our wine. Litmus Wines was established in 2008 by John Worontschak, joined later by Mike Florence and Matthieu Elzinga. As the name suggests, Litmus Wines is a catalyst for change. John, the managing director has a most impressive reputation in winemaking and production consulting. Known as the ‘flying winemaker’ he is a consultant to winemakers globally as well as being chief winemaker at Denbies. 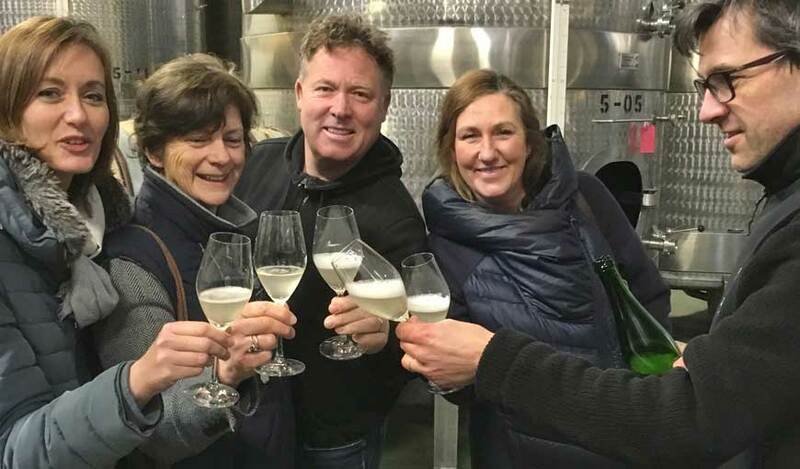 Matthieu joined the company in 2013 after managing the family wine estate in Muscadet. He also has considerable work experience in the Champagne region. © 2018 Chartham Vineyard. All Rights Reserved.